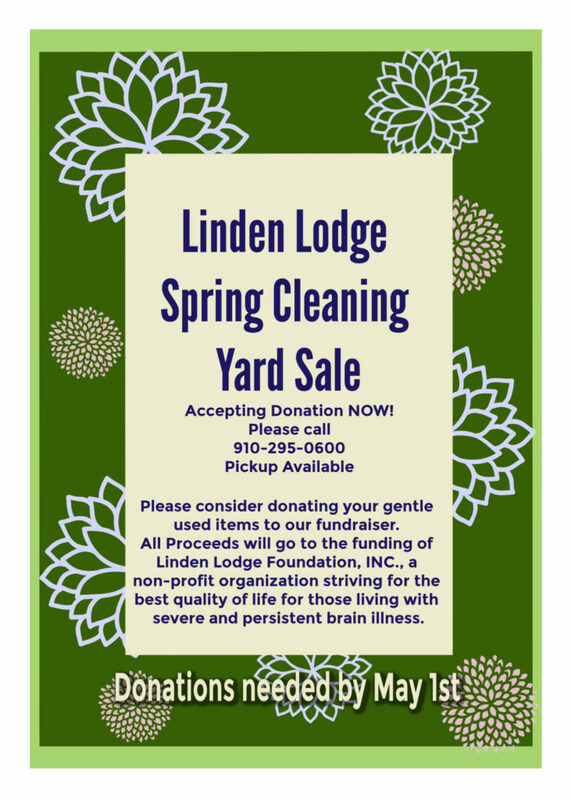 Linden Lodge is so blessed to be in this community. Our wonderful neighbors always show up for us when we need them. We sincerely hope that you know how much we appreciate you. 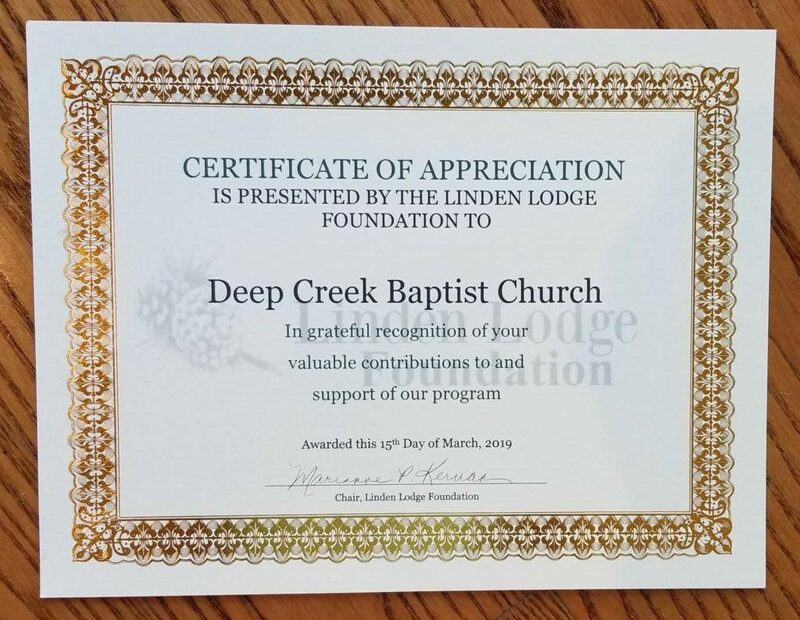 Deep Creek Baptist Church, thank you for all that you do! The following op-ed appeared in the Wall Street Journal on March 26, 2019. Wondrous are the ways of Washington. 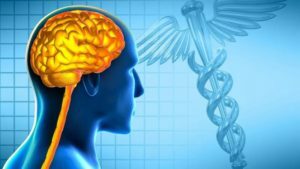 In a single day, the federal government officially reduced the number of people with schizophrenia in the United States from 2.8 million to 750,000. With a change of the National Institute of Mental Health website in 2017, two million people with schizophrenia simply disappeared. The 2.8 million estimate, or 1.1% of the adult population, had been the official standard for the U.S. since the 1980s, when the last major prevalence survey was carried out. The figure was provided to Congress in 1993 and used for national estimates such as the cost of schizophrenia. NIMH Director Joshua Gordon wrote in the Psychiatric Times that “the 1.1% figure is no longer scientifically defensible” in view of “the most recent findings.” These findings come from a 2001-03 National Comorbidity Survey, which included only those who lived at home and acknowledged symptoms of schizophrenia. It excluded those in hospitals, nursing homes, group homes, jails, prisons, homeless shelters and on the streets. Nor did it include the people with schizophrenia among the 29% who refused to participate in the survey. In short, the 750,000 estimate, 0.3% of the adult population, was an absurd undercount, obvious to anyone with knowledge of the subject. Why would a federal health agency want to make two million patients disappear? Welcome to Washington. Administrators spend a lot of time trying to make their agencies look good to the public and especially to Congress, which controls the purse strings. In 2006 Congress ordered the National Institutes of Health to make public how much they spend on each major disease. These figures, along with the number of people affected by each disease, allow anyone to determine quickly the NIH’s research expenditure per patient with schizophrenia, autism or any other disease, and compare them. It can be argued that the quality of the research portfolio is a better metric than expenditure per patient, but the latter is what most advocacy groups use. In 2016 NIMH spent $254 million on schizophrenia research. With 2.8 million people affected, that was only $90.71 a patient. NIH expenditures for Alzheimer’s disease were $162.98 a patient ($929 million for 5.7 million people) and Parkinson’s disease commanded $173.12 a patient ($161 million for 930,000 patients as of 2020). This imbalance created a problem for the NIMH. There were two ways to “solve” it: by spending more money on schizophrenia research or by reducing the number of people with schizophrenia. Thus two million people with schizophrenia disappeared from the figures and voilà—expenditure per patient soared. Even though schizophrenia research funding fell in 2017 to $243 million, the NIMH can now claim to spend a mouth-dropping $324 per person. Call it a Washington victory for schizophrenia patients. Dr. Torrey is associate director for research and Ms. Simmons is a research associate at the Stanley Medical Research Institute. Hallelujah! 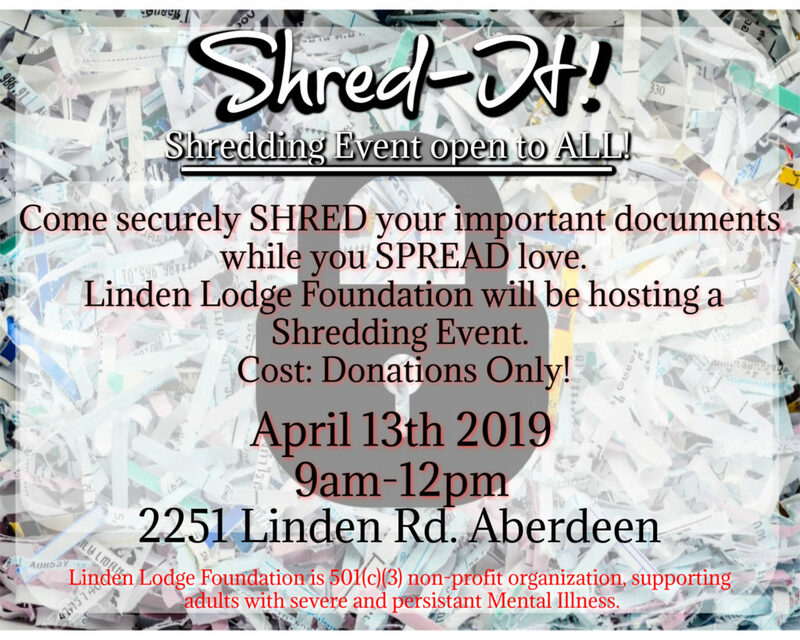 This can have a major impact on our area, both locally and statewide, and on the population the Linden Lodge Foundation supports and serves. Please check out the news below and consider making the pledge to support more access to inpatient beds. 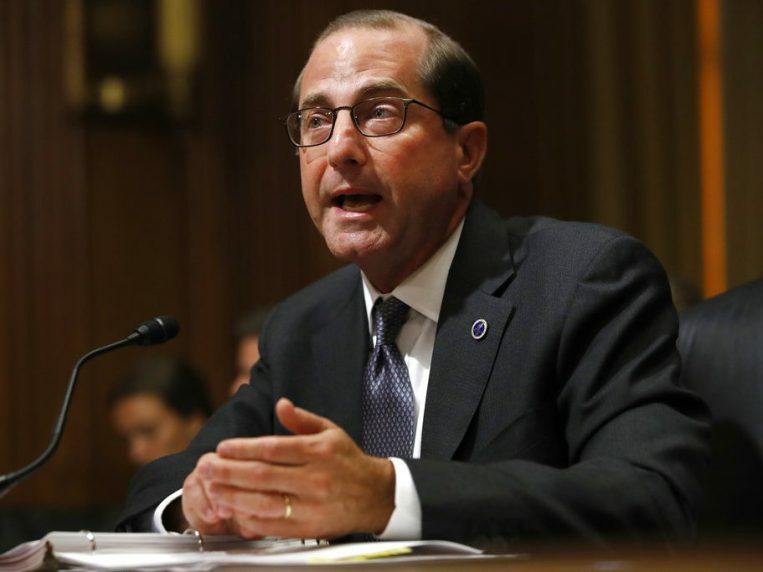 Secretary Azar’s recent announcement acknowledges the negative outcomes this policy has historically caused, and underscores the importance of both inpatient psychiatric care and connecting patients to robust community services to prevent the cycle of rehospitalization. The new waiver guidelines set forth by the Centers for Medicaid & Medicaid Services create an opportunity for states to address their shortcomings in treatment delivery, by encouraging innovation that provides patients with access to a full continuum of care. Like most complicated regulatory reform, it will take time for meaningful change to take effect. States that decide to apply for these waivers will need to demonstrate their plans to bolster community services while integrating inpatient IMD care into their broader treatment system to better help people with serious mental illness. However, this new partnership between federal and state governments offers enormous potential to improve psychiatric care and to reign in the costs associated with neglecting those most in need. We thank all those who dedicated their time, effort, and energy to make this happen, and we will continue to update you on as work to fix our broken mental health treatment system. Give Them A Bed Instead. Hello, My name is Wil Wheaton…. Hi, I’m Wil Wheaton. I’m 45 years-old, I have a wonderful wife, two adult children who make me proud every day, and a daughter in-law who I love like she’s my own child. I work on the most popular comedy series in the world, I’ve been a New York Times Number One Bestselling Audiobook narrator, I have run out of space in my office for the awards I’ve received for my work, and as a white, heterosexual, cisgender man in America, I live life on the lowest difficulty setting – with the Celebrity cheat enabled. Now, I don’t blame my parents for how they addressed – or more accurately didn’t address – my mental illness, because I genuinely believe they were blind to the symptoms I was exhibiting. They grew up and raised me in the world I’ve spent the last decade of my life trying to change. They lived in a world where mental illness was equated with weakness, and shame, and as a result, I suffered until I was in my thirties. Through my twenties, I continued to suffer, and not just from nightmares and panic attacks. I began to develop obsessive behaviors that I’ve never talked about in public until right now. Here’s a very incomplete list: I began to worry that the things I did would affect the world around me in totally irrational ways. I would hold my breath underneath bridges when I was driving, because if I didn’t, maybe I’d crash my car. I would tap the side of an airplane with my hand while I was boarding, and tell it to take care of me when I flew places for work, because I was convinced that if I didn’t, the plane would crash. Every single time I said goodbye to someone I cared about, my brain would play out in vivid detail how I would remember this as the last time I saw them. Talking about those memories, even without getting into specifics, is challenging. It’s painful to recall, but I’m not ashamed, because all those thoughts – which I thankfully don’t have any more, thanks to medical science and therapy – were not my fault any more than the allergies that clog my sinuses when the trees in my neighborhood start doin’ it every spring are my fault. It’s just part of who I am. It’s part of how my brain is wired, and because I know that, I can medically treat it, instead of being a victim of it. My wife and I were having a walk in our neighborhood and I realized that it was just a really beautiful day – it was warm with just a little bit of a breeze, the birds sounded really beautiful, the flowers smelled really great and my wife’s hand felt really good in mine. I had taken that walk with my wife almost every day for nearly ten years, before I ever noticed the birds or the flowers, or how loved I felt when I noticed that her hand was holding mine. Ten years – all of my twenties – that I can never get back. Ten years of suffering and feeling weak and worthless and afraid all the time, because of the stigma that surrounds mental illness. 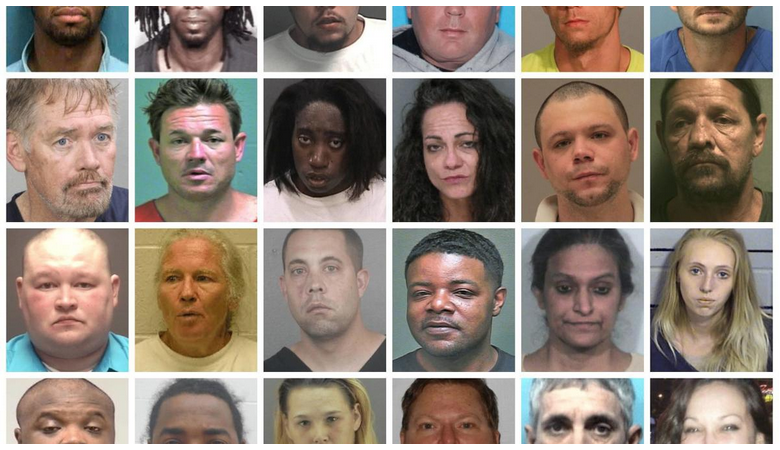 The Linden Lodge Foundation would like to share a ground-breaking report “Horrific deaths, brutal treatment: Mental illness in America’s jails,” published by The Virginia Pilot. In a nine-month investigation, reporter Gary Harki and several Marquette University students tracked the deaths of 404 inmates with mental illnesses since 2010. The Treatment Advocacy Center worked extensively on this piece, which reveals the brutal treatment many people suffer in our criminal justice system. The article, available here, includes disturbing images, but I encourage you to read it in its entirety. At least 33 times inmates’ family or friends had warned the jails of their loved one’s mental illnesses prior to their death. More than 178 inmates with a mental illness died by suicide while behind bars. In 70 cases staff at the jail subjected the prisoner to shock, pepper-spray, restraint, or some combination thereof. In more than half of the deaths, families sued either the facility or the medical provider. In more than 40 percent of deaths, The Virginian-Pilot found that inmates with mental illness were segregated from other inmates when they died. As shocking as it is that 404 people with mental illness died behind bars since 2010 (more than 50 per year), the paper concedes that the actual number of deaths for the period is likely significantly higher than what they could document. If you know of a case they may have missed, additional cases may be reported here. Without accurate data, those in charge cannot be held responsible for the inhumane treatment of the mentally ill in our nation’s jails. We urge you to share this story with your public officials and policy makers to force this accountability. I know that reports like this are difficult to read, but they are critical for shedding light on the abuses inherent to a broken mental health treatment system. Moreover, they strengthen our resolve to eliminate barriers to treatment for people with severe mental illness. Only together can we implement reforms that prevent senseless tragedies like these. 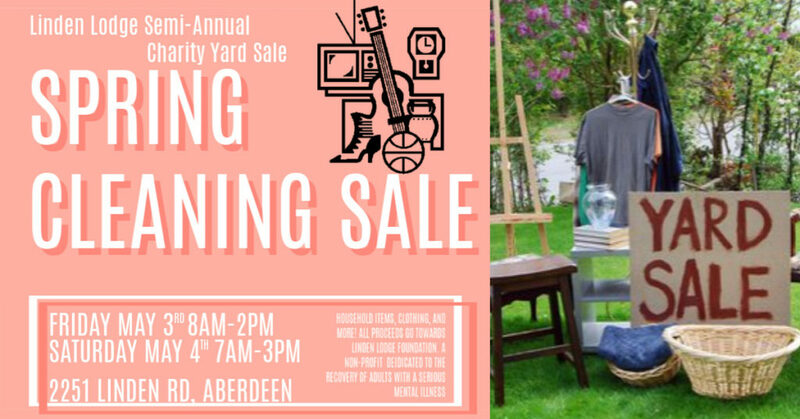 Sincere thanks to John Snook, Executive Director of The Treatment Advocacy Center for alerting us all to this. 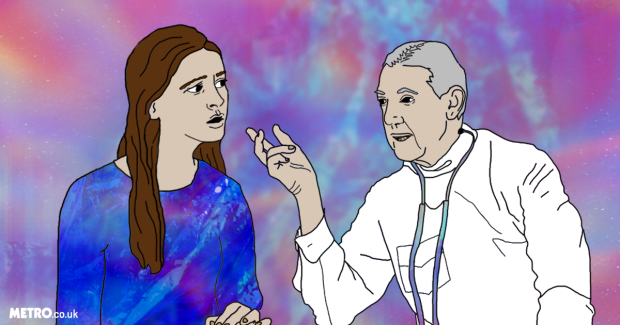 Can We Stop Labeling Ourselves With Our Mental Illnesses? You are not OCD. You have OCD. That’s an important distinction. I really wish people would stop labelling themselves – and others – with their mental illness. What I’m talking about is discussing mental illness as though it’s something that you are – and not something that you have. How many times have you heard someone describe themselves as being ‘ao OCD’ or ‘so Bipolar’? My guess is lots. Labeling yourself with a mental illness not only overshadows how serious it is, portraying it as a personality trait or a passing mood, but also hammers home the difference in the way we view physical and mental illness. You wouldn’t say you are a broken leg, now would you? What you’d say is that you have a broken leg. And we should be discussing mental illness in the same manner. Describing yourself as your mental illness rather than saying you have it suggests that’s all you are. It takes up your identity. I worry that if I were to label myself as someone who is bipolar as opposed to who has bipolar, the person I’m describing myself to may never be able to see beyond that. While I want my mental illness to be acknowledged, I want every other part of me to be recognized too. I understand that everyone, at least everyone with a mental illness, is entitled to speak about it in a way they feel most at ease. But it worries me that not doing so properly will hold up the unfortunate idea that invisible illnesses don’t affect you as much as physical ones. It’s unfortunate that it’s the people with mental illness who are forced to educate those without. It shouldn’t be up to us. In a perfect world people would accept that mental illness is a real, debilitating thing (well, in a perfect world mental illness wouldn’t even be a thing, but you get my point). As a person with a mental illness who feels as though it’s my duty to educate those around me, I think it’s important that I refer to it properly. 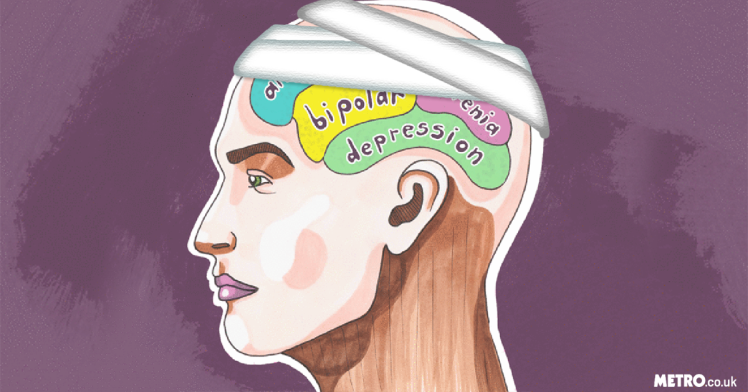 When I tell people about my bipolar disorder, I tell them that it’s something I have. That I live with. That I’m treated for. I talk about it in the same manner that I would a physical illness. I never, ever refer to myself as a ‘bipolar person’, because this will only further increase the assumption that a mental disorder is something that you are, and not what you’ve been diagnosed with. I feel treating a mental illness the same as a physical when being vocal about it is an important way to gradually express that mental illness is real. That mental disorders warrant a diagnosis and they shouldn’t be treated in the same way as natural emotions. And that’s the thing – talking about mental illness as something that we are and not that we have does this. People have got it into their heads that it’s okay to refer to their moods and personality traits as a mental illness. When someone goes off into a fit of rage because someone’s upset them, after having been quite content beforehand, someone will label them ‘so bipolar’. This is only adds to the stigma and misunderstanding around mental illness. But how can people fully understand why this is wrong if they see people with mental illness speaking as though mental illness is something they are and not what they have? I get it, mental illness is hard enough to deal with without someone telling you how you should or shouldn’t refer to it. But I think that if we really want to get across how debilitating and life-consuming it can be, we can all make an effort to make sure we say it’s something we have, not something we are. We need to make it clear that mental illness deserves the same respect as any other physical illness. We need to make it clear that our mental illness does not define us. Though I’ve never lost a friend or family member to suicide, I have lost a patient. I have known a number of people left behind by the suicide of people close to them, however. Given how much losing my patient affected me, I’ve only been able to guess at the devastation these people have experienced. Pain mixed with guilt, anger, and regret makes for a bitter drink, the taste of which I’ve seen take many months or even years to wash out of some mouths. The one question everyone has asked without exception, that they ache to have answered more than any other, is simply, why? Why did their friend, child, parent, spouse, or sibling take their own life? Even when a note explaining the reasons is found, lingering questions usually remain: yes, they felt enough despair to want to die, but why did they feel that? A person’s suicide often takes the people it leaves behind by surprise (only accentuating survivor’s guilt for failing to see it coming). People who’ve survived suicide attempts have reported wanting not so much to die as to stop living, a strange dichotomy but a valid one nevertheless. If some in-between state existed, some other alternative to death, I suspect many suicidal people would take it. For the sake of all those reading this who might have been left behind by someone’s suicide, I wanted to describe how I was trained to think about the reasons people kill themselves. They’re not as intuitive as most think. 1. They’re depressed. This is without question the most common reason people commit suicide. Severe depression is always accompanied by a pervasive sense of suffering as well as the belief that escape from it is hopeless. The pain of existence often becomes too much for severely depressed people to bear. The state of depression warps their thinking, allowing ideas like “Everyone would all be better off without me” to make rational sense. They shouldn’t be blamed for falling prey to such distorted thoughts any more than a heart patient should be blamed for experiencing chest pain: it’s simply the nature of their disease. 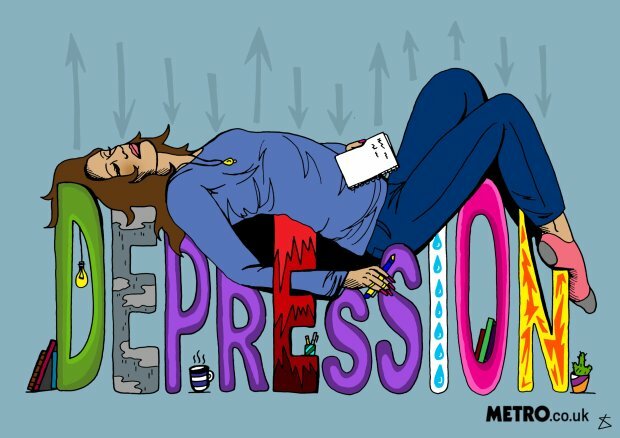 Because depression, as we all know, is almost always treatable, we should all seek to recognize its presence in our close friends and loved ones. Often people suffer with it silently, planning suicide without anyone ever knowing. Despite making both parties uncomfortable, inquiring directly about suicidal thoughts in my experience almost always yields a honest response. If you suspect someone might be depressed, don’t allow your tendency to deny the possibility of suicidal ideation prevent you from asking about it. 2. They’re psychotic. Malevolent inner voices often command self-destruction for unintelligible reasons. Psychosis is much harder to mask than depression — and arguably even more tragic. 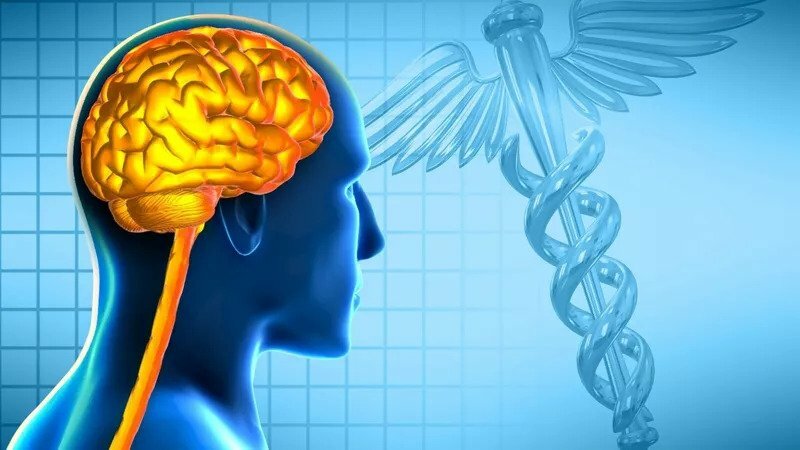 The worldwide incidence of schizophrenia is 1% and often strikes otherwise healthy, high-performing individuals, whose lives, though manageable with medication, never fulfill their original promise. Schizophrenics are just as likely to talk freely about the voices commanding them to kill themselves as not, and also, in my experience, give honest answers about thoughts of suicide when asked directly. Psychosis, too, is treatable and usually must be for a schizophrenic to be able to function at all. Untreated or poorly treated psychosis almost always requires hospital admission to a locked ward until the voices lose their commanding power. 3. They’re impulsive. Often related to drugs and alcohol, some people become maudlin and impulsively attempt to end their own lives. Once sobered and calmed, these people usually feel emphatically ashamed. The remorse is usually genuine, and whether or not they’ll ever attempt suicide again is unpredictable. They may try it again the very next time they become drunk or high, or never again in their lifetime. Hospital admission is, therefore, not usually indicated. Substance abuse and the underlying reasons for it are generally a greater concern in these people and should be addressed as aggressively as possible. 4. They’re crying out for help and don’t know how else to get it. These people don’t usually want to die but do want to alert those around them that something is seriously wrong. They often don’t believe they will die, frequently choosing methods they don’t think can kill them in order to strike out at someone who’s hurt them—but are sometimes tragically misinformed. The prototypical example of this is a young teenage girl suffering genuine angst because of a relationship, either with a friend, boyfriend, or parent who swallows a bottle of Tylenol—not realizing that in high enough doses Tylenol causes irreversible liver damage. I’ve watched more than one teenager die a horrible death in an ICU days after such an ingestion when remorse has already cured them of their desire to die and their true goal of alerting those close to them of their distress has been achieved. 5. They have a philosophical desire to die. The decision to commit suicide for some is based on a reasoned decision often motivated by the presence of a painful terminal illness from which little to no hope of reprieve exists. These people aren’t depressed, psychotic, maudlin, or crying out for help. They’re trying to take control of their destiny and alleviate their own suffering, which usually can only be done in death. They often look at their choice to commit suicide as a way to shorten a dying that will happen regardless. In my personal view, if such people are evaluated by a qualified professional who can reliably exclude the other possibilities for why suicide is desired, these people should be allowed to die at their own hands. 6. They’ve made a mistake. This is a recent, tragic phenomenon in which typically young people flirt with oxygen deprivation for the high it brings and simply go too far. The only defense against this, it seems to me, is education. The wounds suicide leaves in the lives of those left behind by it are often deep and long lasting. 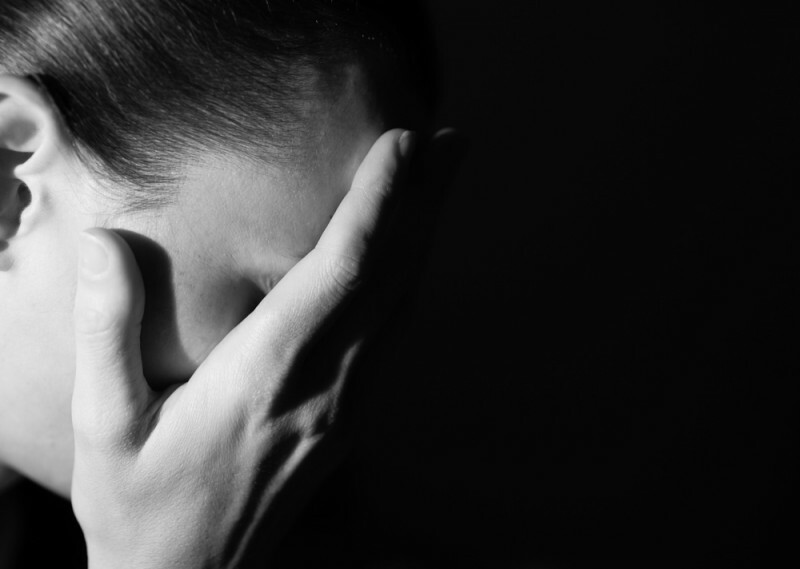 The apparent senselessness of suicide often fuels the most significant pain survivors feel. Thinking we all deal better with tragedy when we understand its underpinnings, I’ve offered the preceding paragraphs in hopes that anyone reading this who’s been left behind by a suicide might be able to more easily find a way to move on, to relinquish their guilt and anger, and find closure. Despite the abrupt way you may have been left, those don’t have to be the only two emotions you’re doomed to feel about the one who left you. Alex Lickerman is an internal medicine physician at the University of Chicago who blogs at Happiness in this World. He is the author of The Undefeated Mind: On the Science of Constructing an Indestructible Self. This is what our collective voice sounds like. It sounds like bravery, strength and persistence—the qualities we need to face mental illness and to fight stigma. No matter how you contribute to the mental health movement, you can make a difference simply by knowing that mental illness is not anyone’s fault, no matter what societal stigma says. You can make a difference by being and living StigmaFree. Note: An earlier version of this blog appeared on NAMI.org in October 2015.